This year Portoroz will host on 27/12/2015 the 4th edition of the sparkling wine festival. 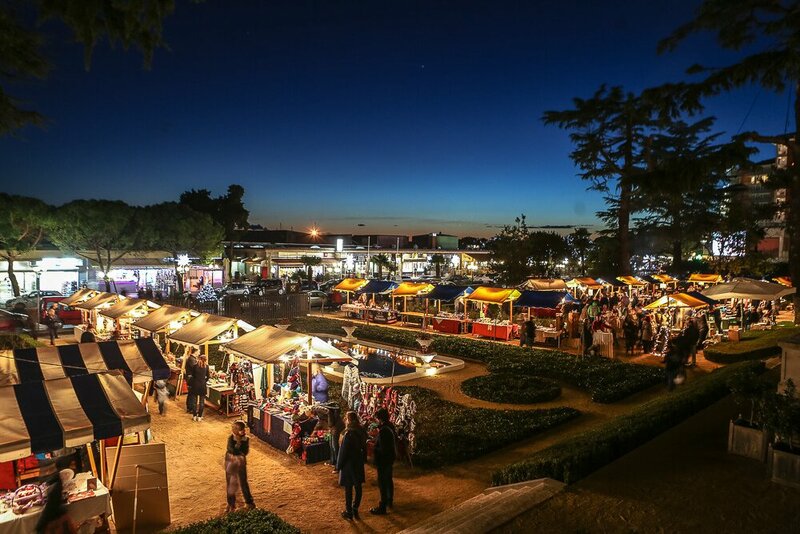 As now already tradition, it will be organized in the gorgeous park of the Hotel Kempinski, right in the centre of Portoroz. All visitors that will spend the holiday time in the renowned seaside resorts are invited. The program will start at 17:00h with a performance of the three tenors Eroica and proceed with the proclamation of the 2015 Sparkling wine. You will be also able to taste 19 different Slovenian, Italian and Croatian sparkling wines for a symbolic price that starts from 1,00 euro for tasting and 5,00 euros deposit. During the week-ends in December the same garden will host also a Christmas market that will be presenting some of the nicest crafts in the Coastal regional. All your shopping is accompanied with stations of mulled wines, pancakes, honey and olive oil tasting and salt products degustation. The ambiance is lightened up with the Christmas lights and bonfire. Let yourself experience the Christmas atmosphere while visiting Portorož this December. KoperTours is providing a day tour to Christmas Ljubljana with included a walking tour, funicular to the Ljubljana Castle and a glass of mulled wine on Saturdays. The second tour is the FREE Piran walking tour that will highlight the nativity exhibition in the major Piran churches on selected days in December. Our guides will introduce you to the major traditions and highlights of the city.